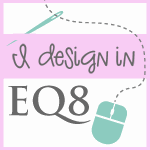 Welcome to my virtual quilting studio. I am a hobbyist quilter and I blog about quilting projects to inspire other quilters to make their own unique beautiful quilts. I love being part of the online quilting community as this was the key, to my own growth as a quilter and quilt designer. I have been quilting since 2004, and have been in the creative industry since I graduated from Home Science College (majoring in Clothing and Textiles) in 1981. My quilting journey truly started in 2015, when I took part in the Husqvarna India online quilt competition and got an award for my quilt. Since then, I have published quilted projects both in the Australian Patchwork and Quilting Magazine and the Australian Handmade Magazine since 2016. You can have a look at my published projects here. I have a published project in the Make Modern Magazine – Roses in Bloom. You can find its full story here. Join me in discovering your passion for quilting, just like me! Read my full story here.